"Got past eventually can't thank Simon enough for his patience and he never gave up on me I got there on the sixth time thank you Simon". Thank you Simon. I really enjoyed my driving lessons and had a great pass in Horsforth, Leeds. Thank you so much for teaching me how to drive, i'll pass the word on that you are amazing. Much appreciated. Simon Was Fantastic "I've always been nervous of driving and it had stopped me taking lessons for years. But i booked my lessons with Learn Driving UK and Simon was great, he really helped with my nerves. I loved my lessons. Simons been fantastic. Simon Hills was my driving instructor. He was just great, really enjoyed my lessons, felt ready for my test. I felt that Simon was always interested in me and he worked hard at getting me to a really high standard. I had a brilliant 1st time pass and I’m well pleased. Thanks Simon for everything. Simon has been so kind and patient with me. He is an excellent driving instructor and i have really enjoyed my driving lessons. I passed my driving test and i am on a real high. Thank you so much Simon. Chuffed to bits and shocked!!!!!! Passed my test today 1st attempt with Learn Driving UK. I’d failed twice with another driving school. I Left my previous instructor and came to LDUK to try and improve my chances. I had Patient, professional and fun lessons, Andrew was a fab fab instructor. Would recommend LDUK. Brilliant!!!!!!! I'm over the moon after failing twice I thought I was a lost cause, thanks to Andrews lessons I've passed with confidence. I take immense pleasure in thanking you for the support and advise provided during my driving lessons. 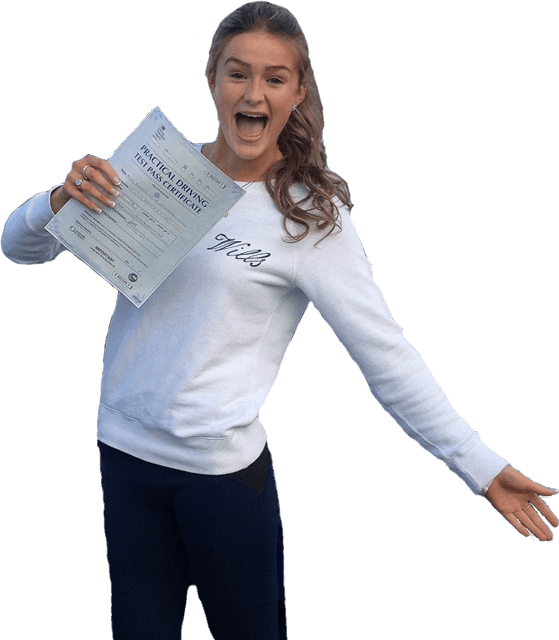 The training provided was very professional and you touched every point for safe driving including taking through the driving test routes for better understanding. I was a bit tense when I started my first driving class but you made me feel comfortable and advised me on the correct procedures during classes. You followed very basic and simple steps in learning and were very professional in terms of communication and instruction. Also you were very flexible with timings you would reschedule lessons for me if i could not make that day. To top it all you were never late for the classes (very punctual). I thank you for your support in passing my driving test with only one minor fault. I would recommend your services to my friends, relatives and anyone who wishes to start car driving training. Thanks Simon, Yoda the Skoda, I passed my test in Leeds and i'm so happy. Simon was patient and calm. Brilliant driving instructor. Thanks Simon for everything. Thank you so much Simon, you have been so patient and kind. I have loved my driving lessons. Now i have passed my test i can apply for the Paramedics Course i want to do. You have been so supportive throught out my driving course. Thank you Simon. I really enjoyed my lessons with Harry of Learn Driving UK. Hurray !! I passed my test. It was great to have Andrew as my instructor. He was very good at explaining things , even if you ask a zillion times. He used different techniques to explain each scenario. Also the best thing for me was he used hand sketches and diagrams to put into my head. Thank you Mr Simon for helping me pass my driving test and thank you Lord. Martin gave me the confidence I needed and was reassuring and calming 'Spot on'. I will definitely recommend Martin and Learn Driving UK to everyone I know. I thought my driving lessons were very helpful. Andrew is an excellent teacher and is very punctual. My lessons taught me how to drive at a high standard and safely. I would recommend Andrew to anyone who wants to learn to drive. Hi Simon, thank you very much for getting me through my test at the first attempt, it means alot, you are a great instructor, i'm glad i learnt from the best. A huge thank you to Harry who should be given a Nobel prize for patience. A huge thank you to Harry who should be given a Nobel prize for patience. He was friendly, professional, fun and efficient. I passed my test yesterday and I'm so happy! Thanks, Harry, and everyone at Learn Driving UK! Steve was excellent, polite and a very good instructor. "I passed my driving test in Leeds first time with Steve Wood of Learn Driving UK. Steve was excellent, polite and a very good instructor. Steve was recommended to me by a family friend. Learn Driving UK are very good value for money, but more importantly they make you a safe driver. Now for my Pass Plus Course. I chose Learn Driving UK because of all the excellent reviews and their pass rate. I had an excellent and memorable experience. Steve has taught me so much and I appreciate everything he has done for me. I would 100% recommend Steve and Learn Driving UK to anyone. I have already recommended Steve to my boyfriend and my friend. I will now have some motorway lessons/pass plus course and use the knowledge Steve has given me. Can't wait to buy a car.